MORRISTOWN, N.J. — The Catholic order that runs an all-boys junior and senior high school with more than 500 students has settled lawsuits from five men who alleged that five monks, including a former headmaster, had sexually abused them. Six additional lawsuits are pending against the Order of St. Benedict of New Jersey and St. Mary’s Abbey, which runs Delbarton School in nearby Morris Township. Three were filed Tuesday. Details of the settlements, made over the past couple of months, were not disclosed. A priest at the center of eight of the lawsuits allegedly admitted to having sexual encounters with about 50 boys, according to documents filed with the lawsuits in Morris County Superior Court here. That priest, Timothy Brennan, is accused in three of the settled cases and five pending complaints. He was convicted 30 years ago of aggravated sexual contact with a 15-year-old Delbarton student. Delbarton School, about 30 miles west of New York City, opened in 1939. The abuse outlined in the suits allegedly took place while most of the victims were students at Delbarton or St. Elizabeth of Hungary in Linden, which the order had managed in an agreement with the Newark Archdiocese, according to an order spokesman. The 11 lawsuits include accusations from 10 men and one woman who said Brennan abused her while she was a student at St. Elizabeth elementary school. Eight clerics who belonged to the order were accused of sexual assault or sexual abuse that allegedly took place from 1968 through 1984. Allegations in six of the 11 lawsuits were related to St. Elizabeth’s. The Archdiocese of Newark also was named as a defendant in those cases; spokesman Jim Goodness declined to comment. 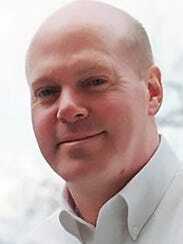 One of the accused is Luke Travers, a priest who was Delbarton’s headmaster more than a decade ago. He was the subject of allegations filed in a civil complaint filed six years ago, accusations stemming from the late 1970s, long before he was headmaster. 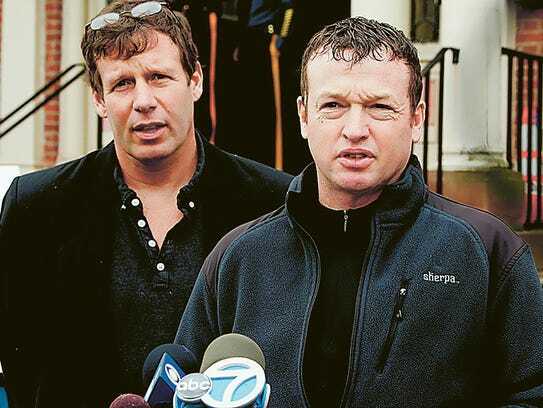 Twin brothers who lived on the grounds of the Delbarton School, where their father was a teacher, filed the complaint. They announced the lawsuit March 20, 2012, on the lawn of the Morristown courthouse. One of the brothers, Tom Crane, said at the time that Travers and another priest, the Rev. Justin Capato, had sexually abused him. Bill Crane Jr. said Capato was his abuser. Their complaints later were separated into two lawsuits that were settled March 20, according to documents that Superior Court Judge David H. Ironson signed. Travers, who is no longer a member of the order, continues to deny the allegations, said his lawyer, Gerald Hanlon. Capato also was named in another suit, one of three complaints settled in May. The priest has denied the allegations, according to court documents. His lawyer did not respond to a message left at his office Thursday. 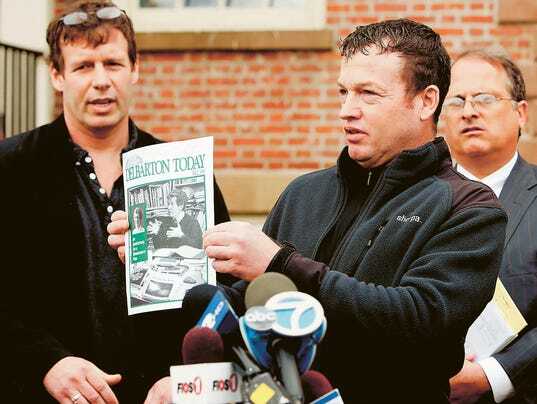 While living at Delbarton, the Crane brothers attended school at St. Joseph’s in Mendham where they said another priest abused them: parish pastor James Hanley, who was defrocked after admitting he molested at least a dozen children. Hanley has said Bill Crane Jr. was his last victim. Tom Crane, who lives outside of Seattle, said in a telephone interview late Thursday that he went through “a nightmare of intimidation” after the complaint against St. Mary’s Abbey was filed. He alleged that a school lawyer told friends from Delbarton who spoke in support of the Cranes not to talk about the case. He declined to specify the amount of the settlements or discuss the pending cases. He had represented many of Hanley’s victims in a lawsuit that the Paterson Diocese settled in 2005 for $5 million. St. Mary’s Abbey and Delbarton School also acknowledged the settlements and issued a statement Thursday afternoon saying its officials are “committed to continue ensuring a safe, healthy, and respectful learning environment. “We look forward to a resolution of these issues but are unable to comment on active litigation,” officials said. Brennan, sentenced to one year of probation in 1987, was a central figure in the lawsuits, and court records revealed that he once allegedly acknowledged having so many sexual encounters with boys that he was unsure of the number. The letter, sent in 1995 to an official with the Trenton Diocese where Brennan had been working after his conviction, went on to say the priest told evaluators that his encounters were with boys around age 13. A priest molested Brennan when he was 15 years old, according to the letter. And Brenner began acting out sexually in the early to mid 1970s. Brennan also had worked for a time at an unnamed hospital in the Trenton Diocese, the letter stated. The diocese did not immediately respond to a request for information about Brennan and his time there. St. Abbey’s officials had acknowledged years ago that Brennan had worked at a parish in Lakewood where he cared for the elderly at a nursing home and a hospital. Brennan has been living at a treatment center for priests in Missouri for the past 15 years and did not reply to a message seeking comment. Brennan became a Benedictine priest in 1961 and had been a teacher and guidance counselor at Delbarton before he was removed from the school after being accused of sexual abuse in 1986. It was unclear from the court papers why he was sent to St. Luke in 1995.